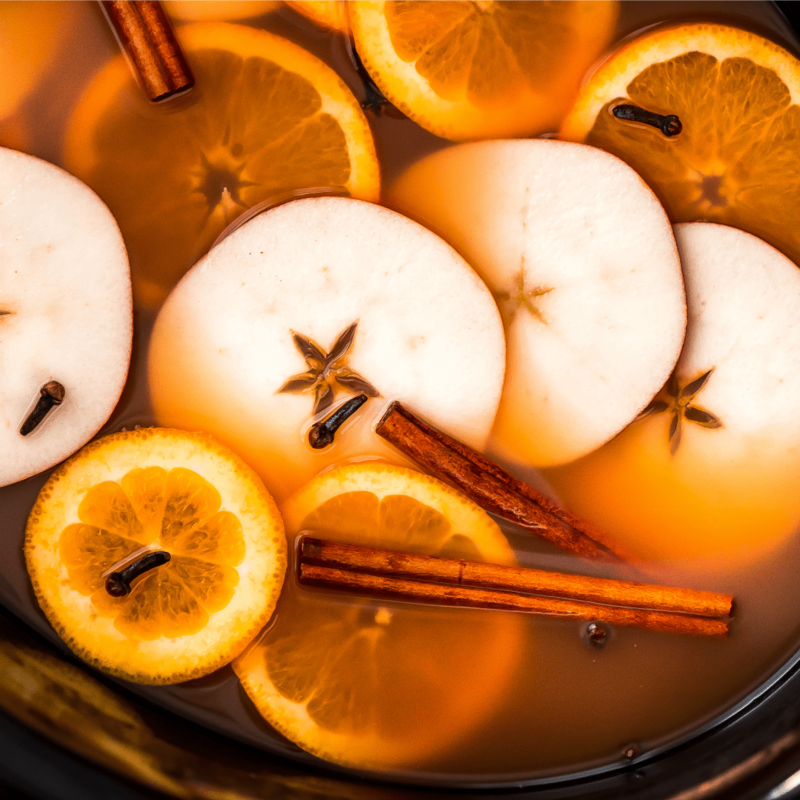 Warm up this fall and winter with a hot cup of Crock Pot Wassail. 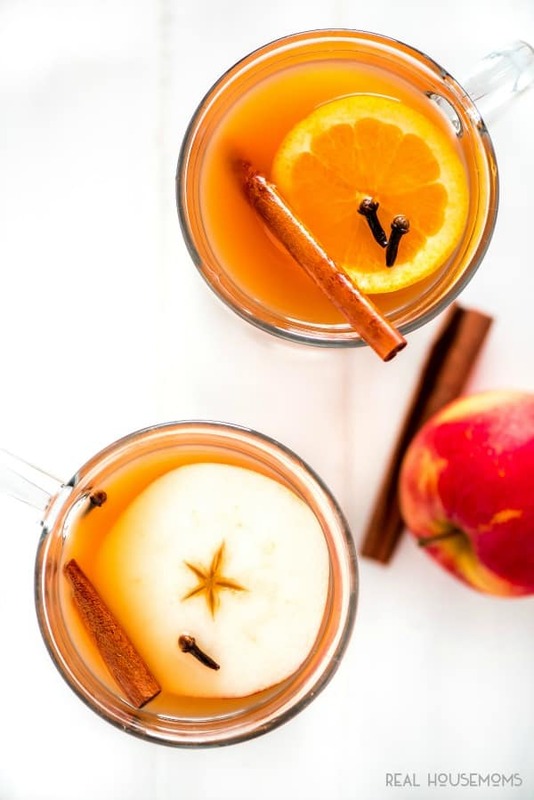 With your favorite fall flavors of apples, oranges, cinnamon, and nutmeg, this drink is sure to be a staple this season! What is wassail? It’s basically apple cider a few notches up with the addition of orange juice, lemon juice, and your favorite fall/winter spices– cinnamon, cloves, ginger, and nutmeg. 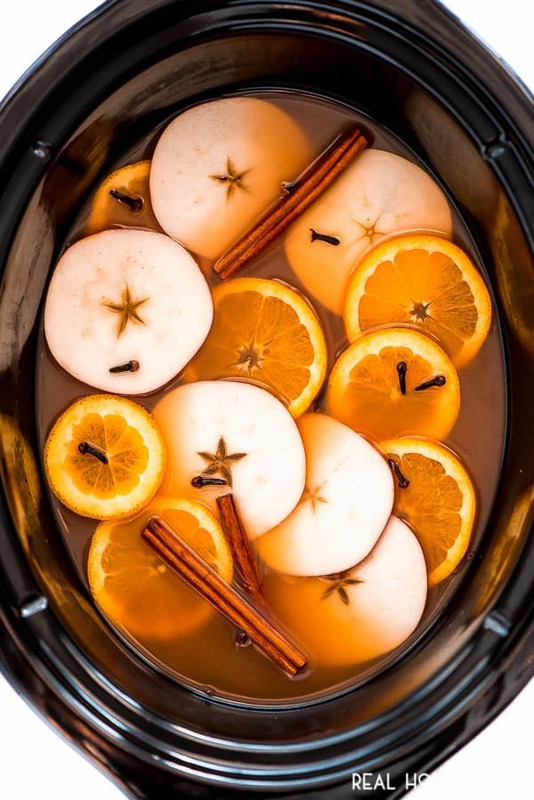 Some recipes call for alcohol but this Crock Pot Wassail is a kid-friendly, pregnant-friendly, people-who-just-don’t-want-to-drink-friendly version. It’s also super easy. I have sure loved summer, especially since we’ve had a pool to swim in and the beach just 25 minutes from our home, but I’m honestly so excited for fall and surprisingly winter too. 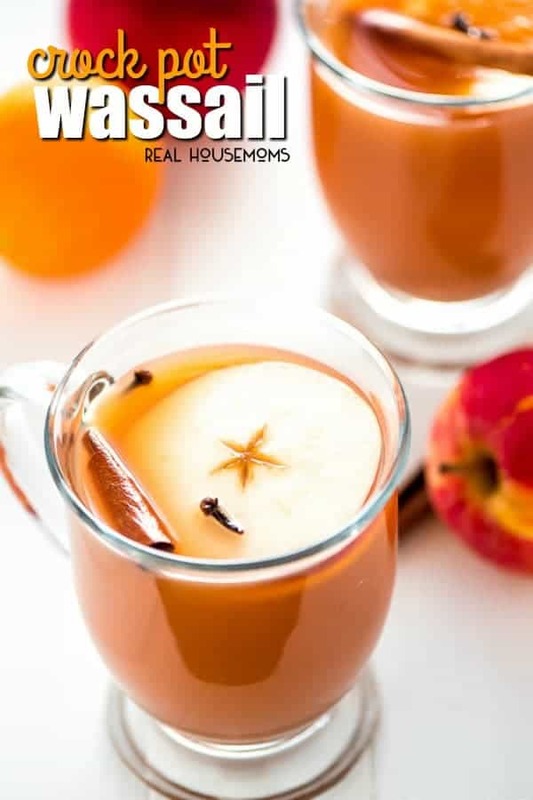 There is just something so heartwarming and happy about getting dressed in lots of layers, cuddling up on the couch with blankets, and sipping on something warm like this Wassail. Seriously, fall is the best season of all. It’s so colorful, it’s not too hot, you’re eating apples in everything from Caramel Apple Cheesecake Bars to Chicken, Cabbage, & Potato Tacos with Apple Pico de Gallo, the leaves are turning yellow, red, and burnt orange… life is great! Want more crock pot drink recipes? Mix all the ingredients together (except for the sliced oranges and apples) in the slow cooker and let it cook on low for 6-8 hours. Add orange and apple slices at the end and serve warm in mugs. I absolutely loved this recipe! The second time I made it, I used slightly less lemon juice, and added some allspice, double the ginger powder, some cinnamon powder in addition to the sticks, and a few tiny spoons of brown sugar. Delicious! Nice! Thank you for sharing and I’m so glad you like it.